Kingsley Afoke Iteire, Victor EMOJEVWE. Background: Phoenix dactilifera has been used as medicinal remedy for swollen limbs, aching legs, cough, sneezing and acceleration of hair growth. Although studies have suggested the beneficial aspects this agent to human health, it is not yet clear of the dosage that may become detrimental. Methods: Twenty adult albino rats divided into four groups of five rats each were used in this experiment. Methanol extract of Phoenix dactilifera was orally administered at doses of 4 mg/kg, 8 mg/kg and 16 mg/kg to groups 2, 3 and 4 respectively while group 1(control) received distilled water. After 8 hours, blood was collected from the animals for the assessment of Packed cell volume (PCV), serum urea, creatinine, glucose, potassium, chloride and sodium. The data generated were expressed as Mean±Standard Error of mean (SEM). The means were compared with Student’s t-test with p- value of 0.05 considered statistically significant. Results: In all parameters analyzed, kidney function was improved only at doses of 4 and 8 mg/kg which was attributed to the antioxidant and free radical scavenging properties of PD. A higher dose of 16 mg/kg, significantly increased the K+ (36.0±4.5/22.6±2.3mEq/L) and serum urea (32.0±3.8/25.2±1.4mg/dl) concentrations when compared with the control but other parameters measured were unchanged. These revealed that high doses of PD might impair normal renal functions. Conclusions: It was therefore concluded that Methanol extract of Phoenix dactilifera fruit improved kidney functions at doses of 4 and 8 mg/kg and that at 16 mg/kg, PD might be deleterious to the kidney by impairing urea and potassium excretion. Extreme resistance of Enterococcus faecalis and its role in endodontic treatment failure. The articles in Progress in Medical Sciences are open access articles licensed under the terms of the Creative Commons Attribution Non-Commercial License (http://creativecommons.org/licenses/by-nc-sa/3.0/) which permits unrestricted, non-commercial use, distribution and reproduction in any medium, provided the work is properly cited. 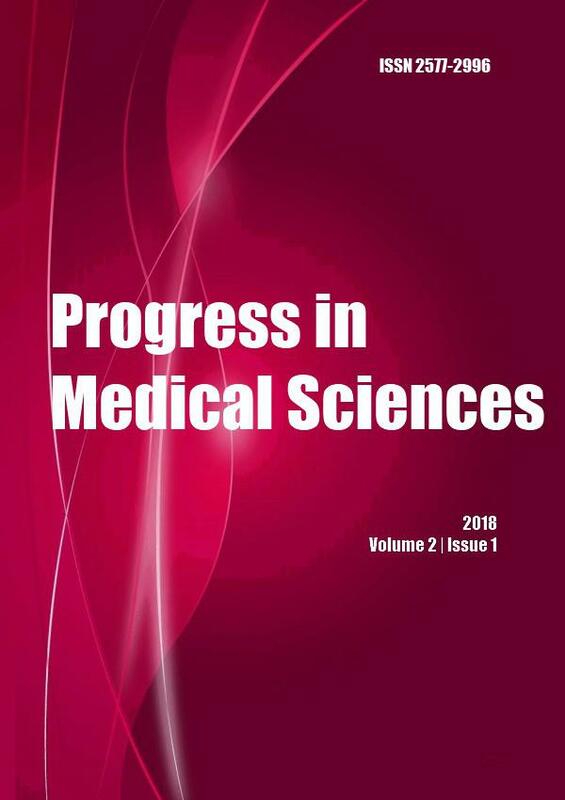 Copyright © 2019 Progress in Medical Sciences All Rights Reserved. Subject to change without notice from or liability to Progress in Medical Sciences. Call us at . Our office hours are Monday - Friday, 8 AM to 5 PM EST.